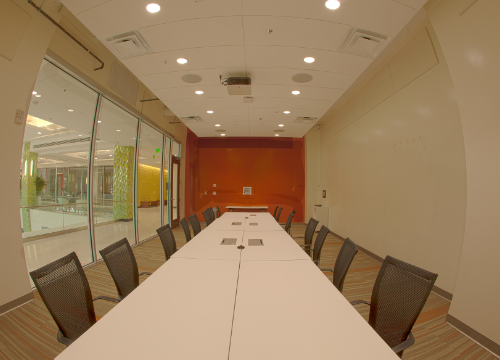 Room 202 is a standard conference room located on the second floor. With 9 mobile tables and 18 rolling chairs, this room can adapt to almost any meeting format necessary but works best in board meeting style. With a full glass wall overlooking the Grand Hall, your guests will appreciate the open feel of this room. Smart Kapp- Digital Whiteboard with Bluetooth and NFC: Users will be able to connect their mobile devices to the board to share content that is drawn on the whiteboard with remote users and save to their device.